State of the art technology, outstanding performance and unparalleled comfort. 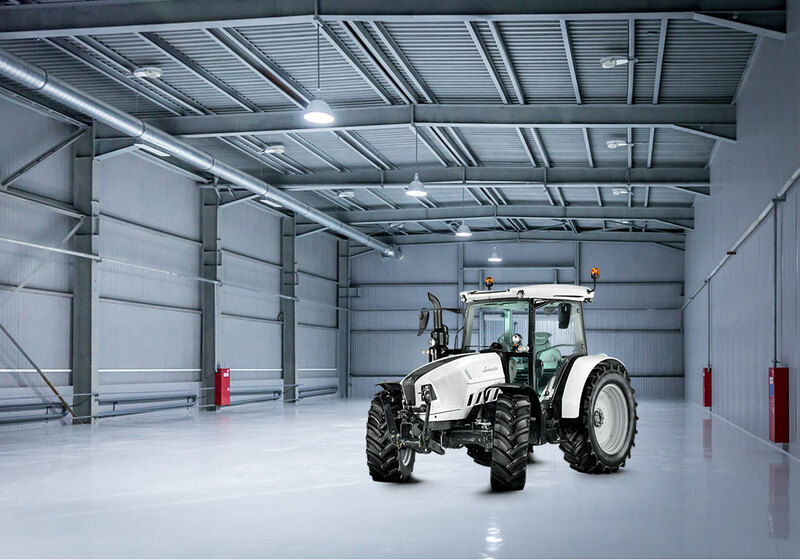 The Strike range offers a comprehensive choice of 8 models to let crop farmers, livestock breeders and agricultural contractors define the perfect configuration for any field or general farmyard task. The ideal weight distribution of the Strike LD and MD lets them deliver the superior performance necessary for working on the modern farm, in applications such as minimum tillage and sod-seeding, while the sturdily built Strike HD is the ideal solution for soil treatment work in the open field. An elegant design from the lines of the hood to the interior trim. 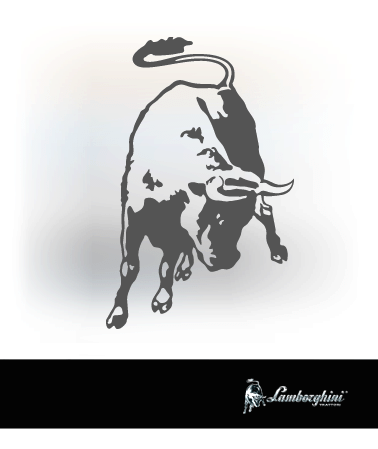 All in true Lamborghini style. You'd be hard pressed to find fault in the style of the Strike; the white livery of the bodywork and sleek, low lines of the hood make an immediate impression. Once inside the cab, all the efforts to make these tractors as intuitive and simple to use are immediately apparent, with ergonomic, functional solutions conceived for total comfort in the day to day work in the field. Advanced new technology beneath the hood of the Strike. Impressive power available over an extended range of engine speeds and immediate responsiveness, to cope with sudden peaks in load and ensure extraordinary productivity: presenting the new FARMotion engine family, available as 3 or 4 cylinder variants with 2000 bar Common Rail fuel injection. HD models are powered by Stage IV compliant engines, with an SCR exhaust after-treatment system, while MD and LD versions are equipped with the Stage III B compliant engine, with a DOC catalytic converter. This extraordinary combination of technologies translates to ideal performance both in the field and on the road. The electronic control unit of the engine lets the driver set, store and recall two different engine speeds to simplify headland turns. A choice of three transmissions to ensure the ideal speed for any task. Every agricultural task needs a specific range of speeds. The Strike family offers a choice of three different transmissions - with mechanical, Hi-Lo or Powershift variants - to ensure the ideal speed range for every agricultural task and for successful results whether working in the field or on the road. The mechanical gearbox has four or five gears with underdrive and supercreeper gear, thus reaching 16+16 or 20+20 speed. The Hi-Lo version with creeper and supercreeper gears offers 32+32 speeds, or 40+40 speeds with an additional two powershift stages. The 5 speed transmission with four ranges and 3 stage Powershift (30+30 or 60+60) ensures rapid shift action to maintain any speed needed. The four speed PTO (540/540ECO/1000/1000ECO), the transmission-synchronised PTO with independent output shaft and the 1,000 rpm front PTO ensure unparalleled productivity. A hydraulic system that adjusts flow rate rapidly and in real time for precise, instantaneous implement control. A hydraulic system built to deliver 56 l/min for operating implements with extraordinary efficiency. However, the capabilities of the system may be extended even further with an innovative 60ECO dual pump, which already offers a flow rate of 65 l/min at an engine speed of just 1600 rpm. Strike 110 HD and Strike 120 HD are also available with a hydraulic system with a 90 l/min dual pump. A mechanically controlled rear lift is offered in the basic configuration (while an electronically controlled lift is available as an option), for a maximum lifting capacity of 4,525 kg for LD-MD models or, to cater for applications demanding even greater lifting power, 5,410 kg in the case of the HD model. The system is available with 4, 6 or 8 way rear distributors, 2 of which with electrohydraulic proportional control. An ultra-modern comfort-oriented cab mounted on innovative rear "Hydro Silent-Blocks", which drastically reduce vibration. Inside the eye-catching, comfortable cab, the intuitive, ergonomic controls are arranged on the right hand side of the driver and are colour-coded for instant identification. The new distributor levers with improved action offer effective control over oil flow and are lockable in the kick-out position. The driver zone is comfortable and spacious, while the generously sized windscreen and windows and the high visibility roof offer an unimpeded all-round view, which is especially helpful when working with a front loader. "Hydro Silent-Blocks" and excellent insulation from the engine makes the cab extremely quiet and comfortable, whether working in the field or driving at high speed on the road. These tractors are just as much of a pleasure to drive at night, with 6 lights on the grille, 2 lights at mid height on the front cab pillar, 2 lights at the front of the cab roof and 4 at the rear. The electronic battery master disconnect switch is situated inside the cab.